Hello and happiest of Mondays to you all! I'm writing this post from the car on my way to VAAAACATION. Woot. I've worked at my full time internship alllll summer long so I've been waiting for this day. Today I wanted to discuss branding. What even is branding? Well, it's a lot of things. Basically... It's you. What do you want your brand to say about you? Branding is something I've personally struggled with in the past because I had no idea how important it was. I've gotten a lot of Instagram direct messages lately asking about branding. So I guess I'm doing something right? I still have a long way to go though. So I feel like it's worth talking about since so many people are interested in the whole branding thing. And if you are... GOOD. Because you need it (something I didn't figure out until about a year into blogging...yikes). Why should you even focus on branding? Because branding will bring the readers. It will bring the loyalty. The world is so visual now and if your brand doesn't project an image, then it's tough to gain a following. + What do you want your brand to say about you? To put it simply, what should your brand say to your followers/readers? When I go to someone's Instagram, I like to get a vibe. Don't you? If I don't get a vibe, I'll usually just click away and find an account that has a vibe. + How can you make your brand consistent across all platforms? If you blog is light and bright and your Instagram is gray and dark, you probably aren't being very consistent with your brand. + How do you want people to feel when they experience your brand? Inspired? Confident? Fabulous? Who knows. That's up to you. I recently wrote a post all about monetizing your blog because that's something I get questions about A LOT. I'm a firm believer that without a strong brand, it's really, really difficult (maybe impossible?) to make money blogging. 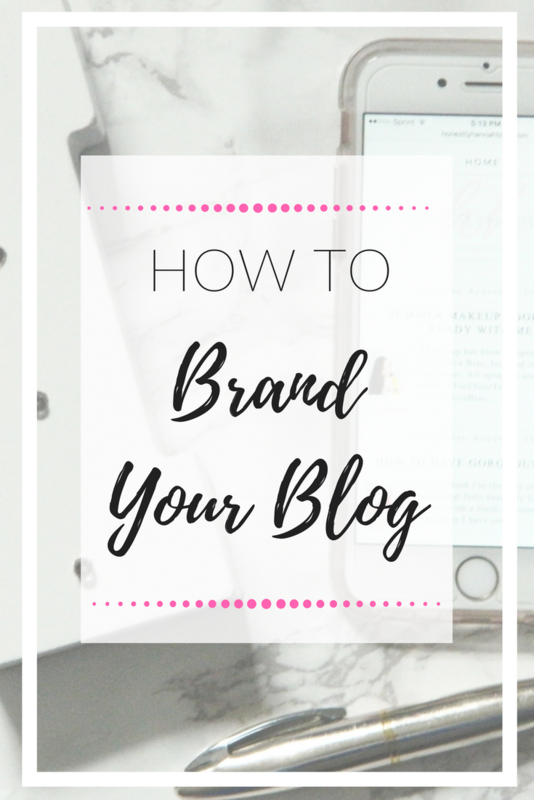 So, let's talk about how you can brand your blog like a boss. Like I said, if your blog is light and bright, don't keep your Instagram super dark and gray. And it makes a whole lot of sense. 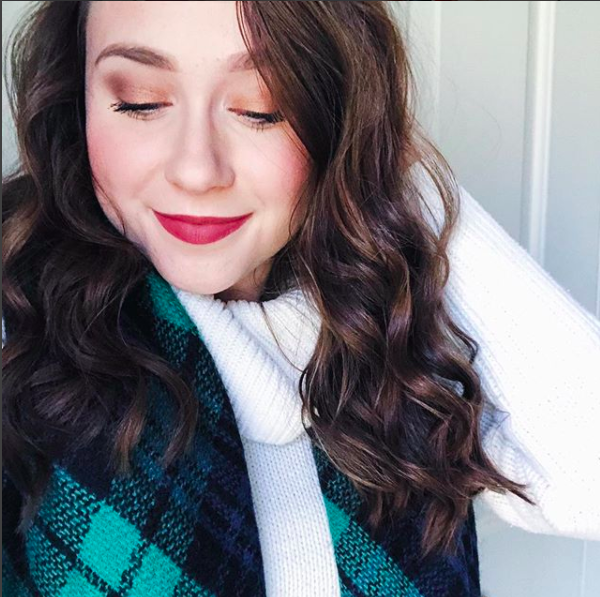 There's no reason to completely obsess over it, but try your best to keep your Instagram theme super similar to the kind of vibe that your blog gives off. If you've been following me for a hot minute, you know I've changed my blog name. I decided I really did not like my original name. I just kind of pulled it out of the air in about two seconds when I started my blog (bad plan). I resisted the urge to change it immediately until I came up with a name that I liked. I'm now super happy with my blog name, but I wish I had come up with a great name from the beginning. Try to come up with something that describes your blog in a way. Honestly Hannah I feel is perfect for me. I've always been a blunt person. I like to tell it like it is. You won't find anything sugar-coated on my blog. I love to share with you guys my real experience with topics that I feel like some bloggers wouldn't discuss. It's totally okay if your blog name is super simple. In fact, the simpler the better I think? I would recommend taking your time when coming up with a name. Lauryn Evarts of The Skinny Confidential (MY FAVE BLOG) had the best tip for coming up with a name. Open the notes tab on your phone and just start adding in words that you like. Things you like. Words that describe you. Then, start playing around with the words, mixing and matching. You may just find something you love. A lot of bloggers call themselves "lifestyle blogger", which is fine. In fact, I identify as a lifestyle blogger. Lifestyle covers a bunch of topics, and that's why so many people gravitate towards it. It is still, however, important to have a direction. For example, I would call myself a college + lifestyle blogger. I love to talk about college, organization, and just general realness about life. So, it's okay to cover a lot of topics, but make sure to find your niche. Your tribe. 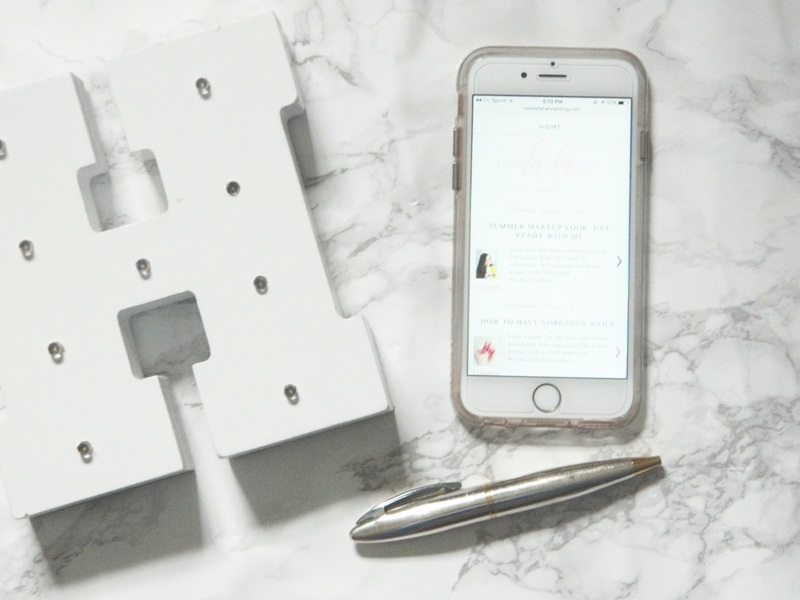 If you're a blogger and you don't use Pinterest like it's your secret weapon, go read this post. Pinterest is a blogger's dream tool. Creating Pinterest optimized images is super important for your brand. When people see one of your images on Pinterest, they should know it's your image just by the photo. I talk more about how to go about doing that in this post! It's important to come up with a blogging schedule. Come up with the days and times that you'll be posting on your blog every single week. That way, your readers know when they can expect a new post from you. And hey, everyone gets a little busy sometimes. Or uninspired. Whatever. It's okay to take a break if you need it. Nothing wrong with that. BUT, you should try to be as consistent as absolutely possible. Sure, take a little blogging vacation if you need it. Come back inspired. If, however, you're on your game and ready to go, create your schedule. For me, I do my best to post Monday, Wednesday, and Friday. Branding is essential. And it takes time. Don't get discouraged if you feel like your Instagram isn't exactly what you'd like it to be, or if your brand isn't completely on point. You don't have to overcomplicate it. Work each day to develop a brand that you love; a brand that you're proud of. One that represents who you are and who your readers are. What are your tips for branding? Struggles? Magically secrets? Let me know. Read more of my posts about blogging here! I have recently started writing blogs and it has been a really good idea to make the blogs exciting to read. Mostly people are looking for the same thing to read that you are talking about.